I’m having a rotating display of student work in the window of MIY Workshop. The best advert for my classes is the work that my students produce and it’s a nice way for them to feel proud of their creations and appreciate the skills they’ve learnt. Here’s my first “student in the window”; Lisa. Lisa had never used a sewing machine when she started classes last September. After 4 classes she’d made this skirt. Next came this top and she’s just finished a dress. She’s addicted! 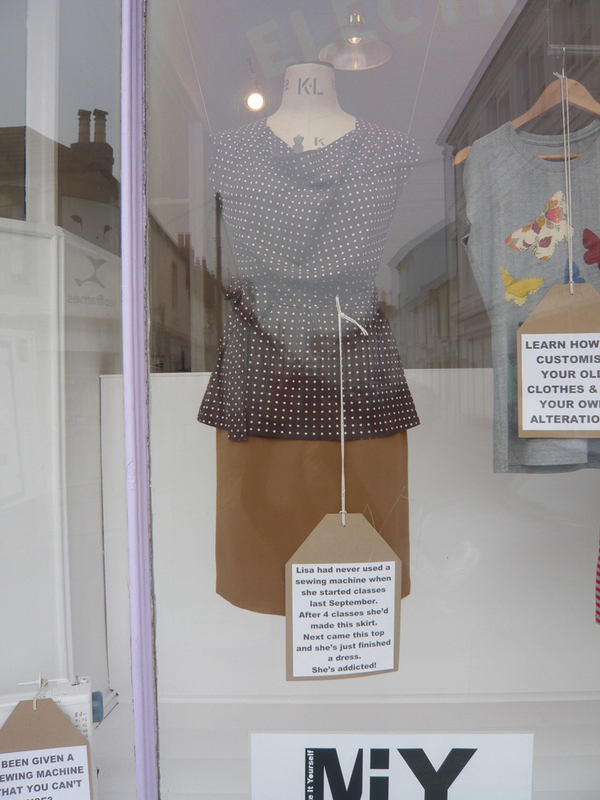 This entry was posted in MIY Workshop, Student in the window and tagged dressmaking classes, MIY Workshop, sewing classes, student in the window, Wendy Ward. Bookmark the permalink.